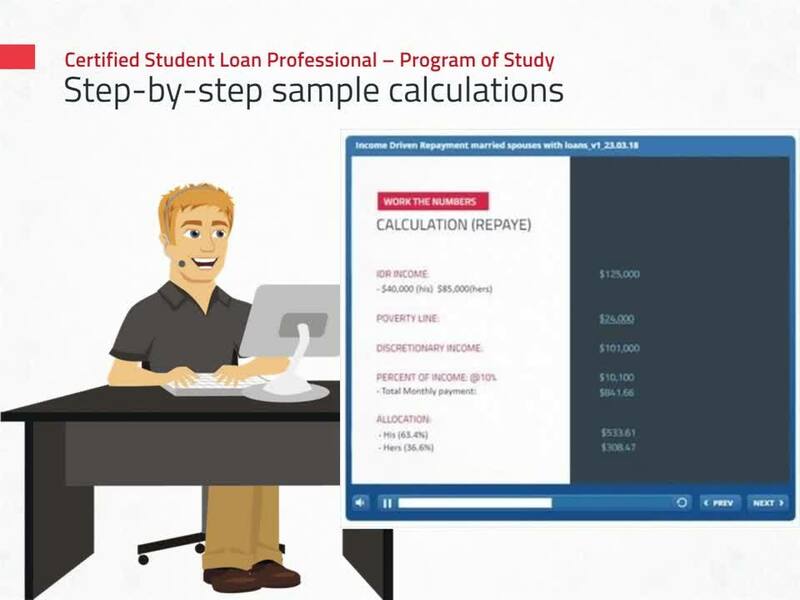 In this 2 minute video, see the highlights of the CSLP course for financial advisors helping clients with student loan payment planning. The program is an advisor's resource library providing assistance with the specific process of helping clients get the best repayment strategy while being aligned with their master financial plan. Take your financial advising practice to the next level. You have a unique opportunity to help clients who seek professional financial advice and have student loans. Don't make critical errors when working with clients and their loans. Advise accurately. Get the resource for student loan advising here.